The team at Lynch Contractors Ltd are experts when it comes to drainage and soakaways. Because of the increasing population and housing in certain areas, the existing drainage on some streets cannot cope when we have heavy downpours or a bad winter. If your driveway does not have sufficient drainage where the water has to run off it and into the mains drainage, then you may have problems. The current law states that every homeowner has to have the correct drainage for his or her own driveway. Underneath your driveway, there must be an adequate quantity of sand or gravel present to allow the rainwater to soak into it and not having to rely on the rainwater using the public mains drainage. This new law has been put in place to decrease the risk of flooding. Recently there have been changes to planning laws in England which affect new or resurfaced driveways. It is very important to comply with these new rules to avoid complications when selling your home in the future and to stop local authorities from taking action, in the result of having to have your driveway dug up. 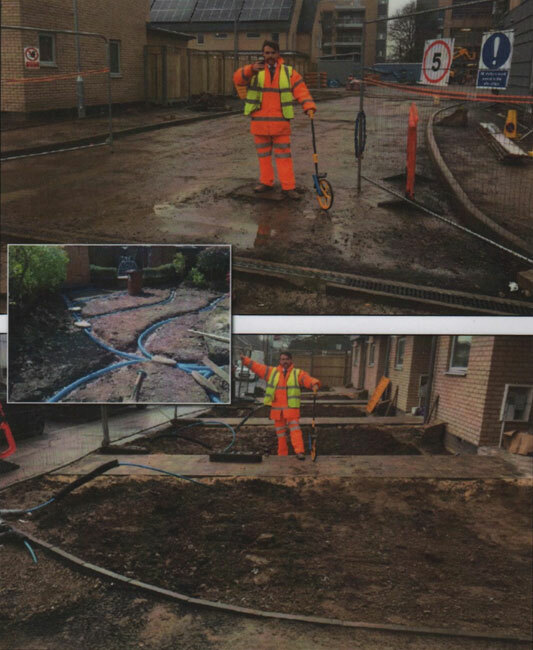 Our experienced team will be able to calculate the area to be drained to make sure that you will have sufficient drainage for your driveway and obviously complying with the new laws. We do not require a deposit and will only accept payment when the job is completed to your satisfaction. All major credit cards are accepted. For a free site visit along with a free no obligation quotation, call the experts at Lynch Contractors Ltd today on Freephone 0800 959 6548.